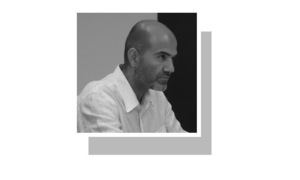 Does the government possess the political skill to manage the adjustment process? 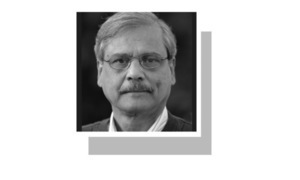 The path of adjustment is tough, but the PTI government is not the first to have to walk it. MENAP director says rising debt urgent challenge for macroeconomic stability in many oil-importing countries. 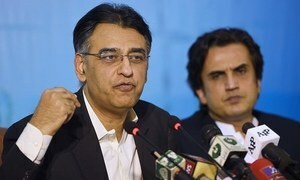 Finance minister says size of programme will be between $6bn and $8bn, rejects reports about his removal. 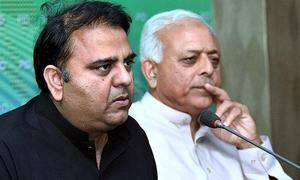 "To change ministers is the prime minister's discretionary right," tweets Fawad Chaudhry. 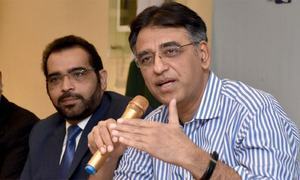 Editorial: Does the govt have a vision to tackle the near-historic Rs450bn revenue shortfall? 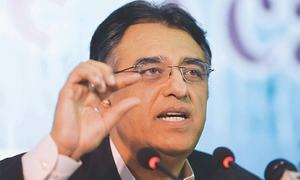 Slow revenue collection due to absence of vision on govt's part over increasing the tax base. 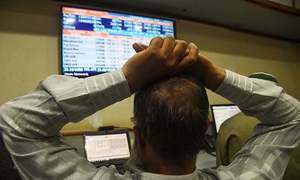 The daunting challenges facing the economy seem to be mounting rather than subsiding. Sources say IMF officials are also seeking details of CPEC. 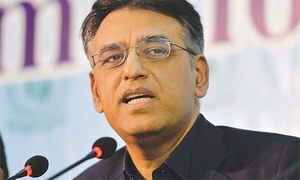 Fund officials air concerns over CPEC as Asad Umar says IMF bailout package almost worked out. 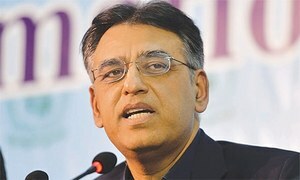 Finance minister meets US Treasury officials, Saudi counterpart on sidelines of IMF, WB spring meetings. 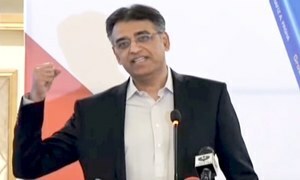 Debt-to-GDP ratio is projected at 72.7pc by end of FY19. 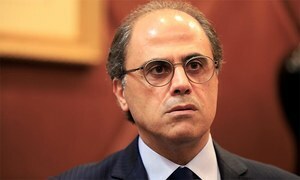 The minister is in the US to attend spring meetings of the World Bank Group, which includes the IMF. 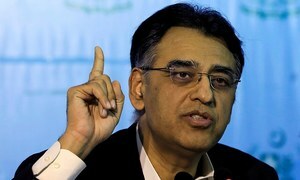 Rising fuel prices, adjustments for correcting macroeconomic imbalances, geopolitical tensions shape outlook in region. Medium-term framework targets unspent public money. The road ahead is an uphill one. 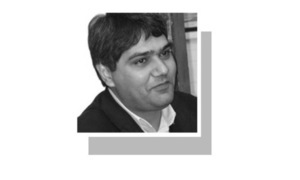 Umar should prove that he can soothe the rising levels of anxiety in the country. 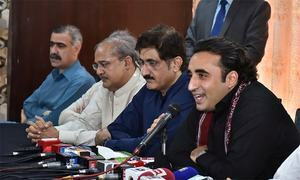 Data projections to be released after programme finalised. We will add many more to the ranks of those who "cannot earn a livelihood due to infirmity, sickness or unemployment". 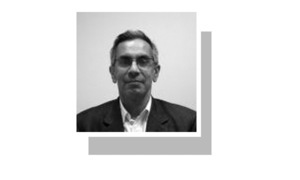 Has Pakistan lost its geopolitical equilibrium? 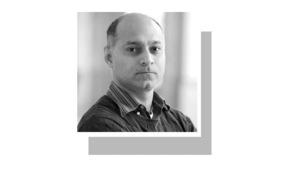 Looking ahead, Pakistan needs to develop a geoeconomics framework of engagement with its neighbours and allies. 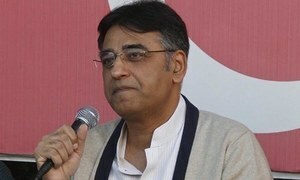 The Indian lobby in Washington has already launched a campaign to block IMF's expected assistance for Pakistan. Says issue relates to future of 220m people and cannot be kept secret. 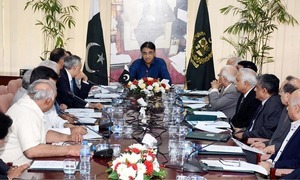 Plan covering all kinds of offshore, onshore undeclared assets to be presented before PM for approval tomorrow. The rupee has lost about 25 per cent of its value over the past year. 'Adjustment' is a policy that removes all regulations designed to provide some safeguards to toiling classes. 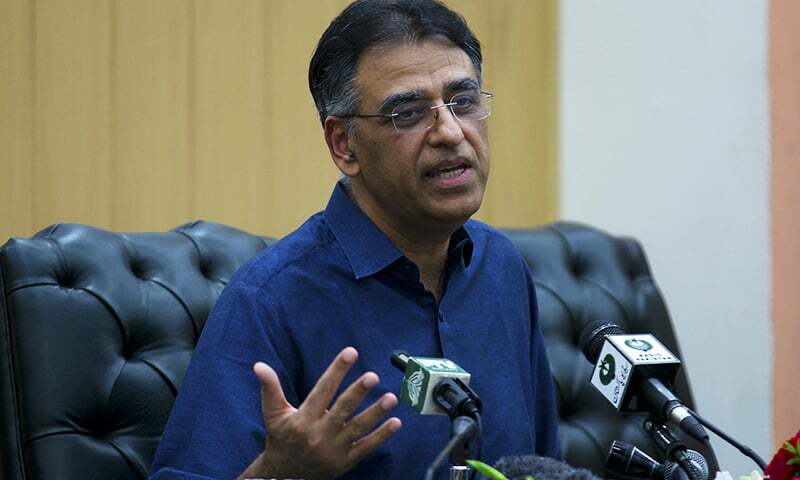 The finance minister announces that sale and purchase of properties to non-filers will open with effect from July 1. Puts blame on international oil rates, previous governments’ policies. 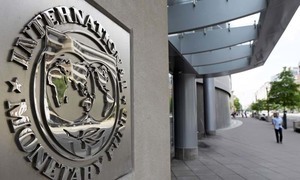 How can Pakistan navigate the IMF and FATF? 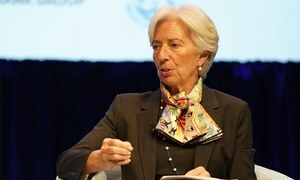 Although IMF, FATF have divergent roles, they have cross-cutting and interconnected tasks and objectives. 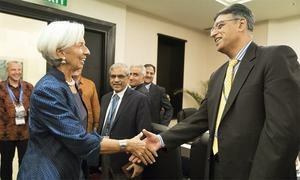 Says the gap between our position and the IMF’s is significantly less than what it was a few months back.